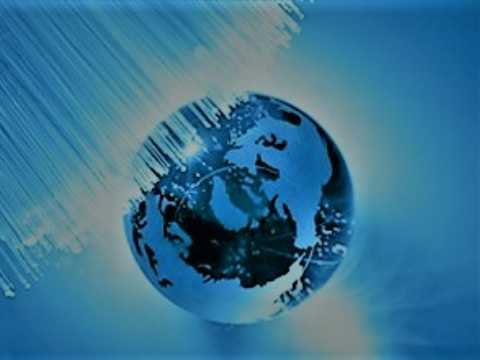 With the upgrade of the optical network from 10G to 100G, the development trend of 10G-25G-100G/10G-25G-50G-100G starts to prevail in the optical market. In the development process of 100G optical transceivers, their form factor type and standard are developed according to the cost and power consumption, which are regarded as the main drive in the development of the interconnect market. QSFP28 is just conformed to these requirements. While compared with CFP similarly belonging to one of the 100G optical modules, what is the difference between QSFP28 and CFP？ This article will make a comparison between QSFP28 and CFP series Optics. For QSFP28 optical module, except that it’s a hot-pluggable optical module designed for 100G data rate, it integrates 4 transmitting and 4 receiving channels. And “28” means each lane carries up to the 28G data rate. Meanwhile, it can do the 4x25G/2x50G/1x100G connection. In addition, the QSFP28 transceiver and interconnect cable are a high-density, high-speed product solution designed for applications in the telecommunications, data center and networking markets. The interconnect offers four channels of high-speed differential signals with data rates ranging from 25Gbps up to potentially 40Gbps and will meet 100Gbps Ethernet (4x25Gbps) and 100Gbps 4X InfiniBand Enhanced Data Rate (EDR) requirements. QSFP28 is fast becoming the universal data center form factor. QSFP28 transceiver is typically available in two standards—100GBASE-SR4 and 100G QSFP28 LR4. 100G QSFP28 SR4 operates at multimode fiber for a distance of 100 m. 100GBASE-LR4 QSFP28 can support a much longer distance of 10 km. CFP transceiver is designed after the SFP transceiver interface, but it supports much larger internet speed, which is realized by using 10×10Gbit/s in each direction. The C stands for the Latin letter C, meaning the number 100 (centum). The 100G optical interconnect typically means 100GBASE-SR10 in 100 meters MMF, 100GBASE-LR10 and 100GBASE-LR4 in 10km SMF reach, and 100GBASE-ER10 and 100GBASE-ER4 in 40km SMF reach respectively. CFP transceiver is currently defined into two next-generation 100G form factors — CFP2 and CFP4. Compared with the existing CFP, CFP2 and CFP4 will be respectively double and quadruple front panel port density. For their differences, this article will have an introduction to them in these aspects of cost, power consumption, port density. Power Consumption: QSFP28 transceiver’s power consumption is usually less than 3.5W, while other 100G transceivers are usually between 6W and 24W. Therefore, QSFP28 transceiver’s power consumption is much lower than the others. Port density: The first generation 100G transceiver is CFP transceiver, having a large volume, then is CFP2 and CFP4. CFP4 is the latest generation of the 100G transceiver, its width is only 1/4 of CFP transceiver. While QSFP28 transceiver’s package is smaller than CFP4, this means QSFP28 transceiver has a higher port density on the switch. 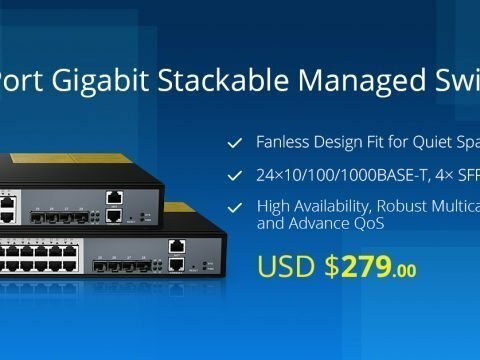 Cost: now the data center is mainly 10G network architecture, its interconnect solutions are mainly 10GBASE-SR transceiver and duplex LC multimode patch cord. 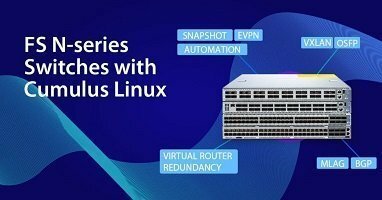 It will save a lot of time and cost if directly upgrade to 40G/100G network on the basis of the existing 10G network architecture. Although CFP transceivers emerge before QSFP28, and QSFP28 optical transceivers seemingly have more advantages in power consumption and cost, and port density by the QSFP28 and CFP comparison. It brings new solutions for 100G applications to promote the fast development of 100G. The surge of QSFP28 shipments will be one of the factors to change the market from 40G to 100G, according to HIS. ← 24 Port PoE Gigabit Switch Managed vs Unmanaged: Which One to Choose?